We made it, 10k in soft sand, it took me 1 hr & 21 minutes. I forgot to mention we were carrying army pack’s…..see photo. Together Simon & I raised over $4k. Thanks to everyone who supported us, the feedback was very positive for the cause & great to hear how much this charity means to so many. For those who haven’t donated & want to there is still time. Thanks again, 2017 talk has already begun. I am raising money for the Mates 4 Mates Foundation. 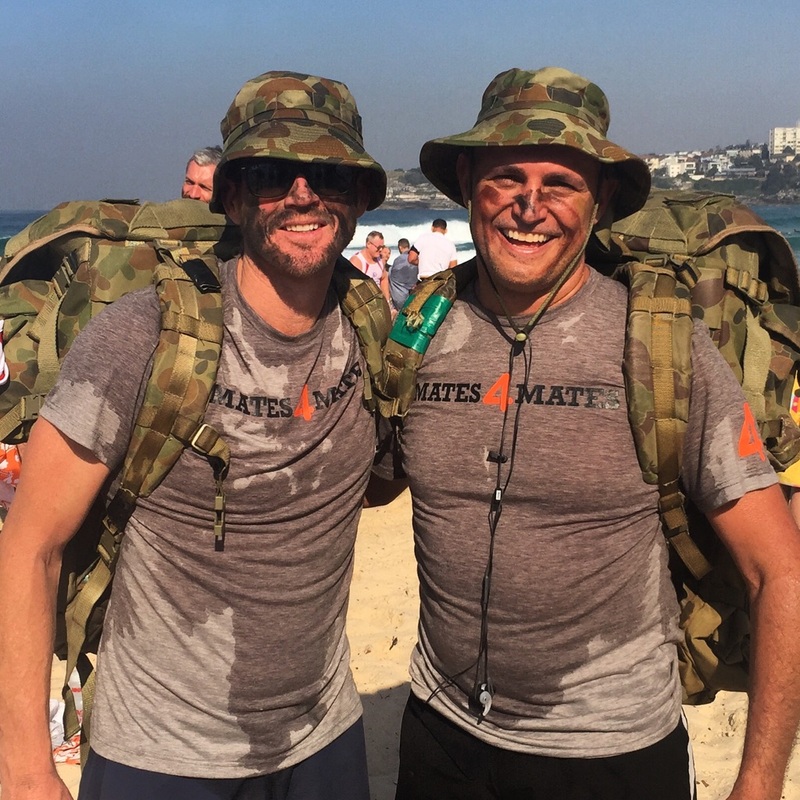 Mates4Mates supports current and ex-serving Australian Defence Force members (and their families) who have physical or psychological wounds, injuries or illnesses as a result of their service. I will be running this Sunday the 22nd of May in a 10km soft sand event at Bondi. I have told by one mate who has completed both the Oxfam 100km event & the 10km soft sand that he’d rather walk the 100km. I hope he is wrong. Please see the link below to my fund raising page. Individual rehabilitation, group training sessions, complementary therapies and recreational activities. Evidence based individual and group counselling, relaxation and mindfulness and Equine Therapy. Career coaching & mentoring, education & training and employment support. Including trekking, kayaking, sailing and cycling programs.